Addiction Medicine (ADM) is now a recognized physician subspecialty of the American Board of Medical Specialties (ABMS). Credentialed ADM subspecialists serve as clinical experts, faculty, teachers, researchers and change agents. They provide prevention, evaluation, diagnosis, and treatment services for patients with unhealthy substance use or substance-related health conditions. ADM physicians also help family members who are affected by a loved one’s substance use or addiction. Why is the Field of Addiction Medicine Important? Unhealthy substance use and addiction is the nation’s largest preventable health problem, yet only about 10% of patients receive treatment for it. This new subspecialty is important in helping eliminate the personal and public health consequences and the stigma associated with addiction by reinforcing that it is a preventable, treatable disease, and by providing patients with access to credentialed physicians. It also provides unique, rewarding career opportunities for interested physicians, recognizes their expertise, and provides accessibility to science-driven prevention and treatment for patients, families and communities. The American Board of Preventive Medicine (ABPM) now offers physicians who are certified in any primary specialty by a Member Board of the ABMS the opportunity to become certified in the subspecialty of ADM. Through 2021, ABMS board-certified physicians may qualify to take the ADM exam by meeting time-in-practice and other eligibility requirements—without having to complete a fellowship. The list below provides links to additional resources on the ADM subspecialty and the pathways to obtaining the ADM certification. The Addiction Medicine Foundation’s mission is to shepherd changes that help ensure physicians are trained in Addiction Medicine by supporting the establishment of high quality, sustainable addiction medicine fellowships accredited by the Accreditation Council for Graduate Medical Education. The American Society of Addiction Medicine’s ADM Paths to Certification page offers information about the ADM exam and mechanisms in place to obtain certification. The American Board of Preventive Medicine is sponsoring the ADM subspecialty. Visit their site to learn more about the ADM subspecialty, taking the exam, and the process for obtaining certification. The ADM Fellow Toolkit was designed as a prep tool for new ADM fellows. Developed around the NIDAMED web portal on opioids, this tool features up-to-date news, research, education, and clinical guidance on topics related to substance use and addiction to prepare fellows for the next phase of their career. 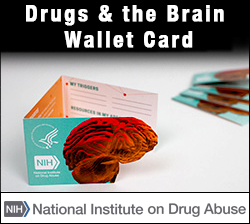 Addiction is a disease that affects both brain and behavior. Need a tool to help people stay drug-free?